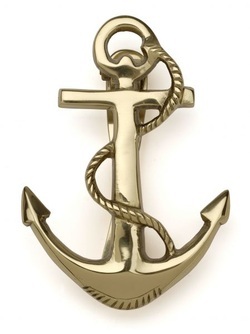 _Today I will be talking about anchors. They can be very helpful tools when one needs to get something done quickly. In short, anchors are anything be it a word, phrase, or gesture that is linked to a specific action and can therefore make that action occur. As an easy example: Those of you who use your hands for psiballs over a period of time may notice that you feel a psiball in your hand without thinking about it if you position your hands the way you would when you make a psiball. This gesture would be an anchor to perform a task - making a psiball. Let's set up an anchor to go into a meditative trance, shall we? First off, you can go to your Inner Temple, if you have one. Get into a good, strong meditative state. Check out how you feel, how relaxed you are, and all that jazz. Let's anchor this to a hand gesture. Put your index and middle fingers on your thumb. See how this feels and strongly associate this gesture with the meditative state you're in. For useless visualization's sake, visualize the image of your gesture and fill that image with the feeling of your meditative state. absorb this image. Proceed to remove yourself from this state. Come back a few minutes later and use your anchor. The first few times you may have to consciously pull yourself into the meditative state. If you feel the need, repeat the above process to strengthen the anchor a couple of times. Repeat the process on occasion to strengthen the anchor anyway, as it will lose strength over time. Anchors can be used for any number of things such as giving yourself courage, charisma, creativity, making psiballs, shields, or elementals. If you're skilled enough, I"d assume you could use them to retain knowledge. Have fun.